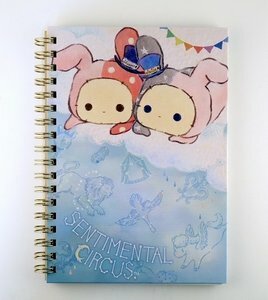 Sentimental Circus ringbinder notebook from San-X, Japan from the adorable Starlight Spica Collection. 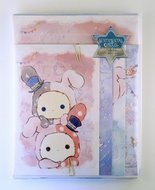 There are a total of 60 colourful ruled pages with lovely illustrations on them. 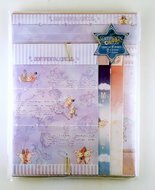 This notebook is perfect for penpalling/ letter writing but could also be used as a diary, journal or for school.